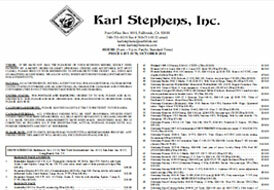 Karl Stephens, Inc. Lists - Karl Stephens, Inc.
At Karl Stephens Inc., we publish three major price lists each year, along with a number of specialty price lists. See below for links. If you are interested in receiving our lists through the mail, please e-mail us your contact information, including your areas of interest. 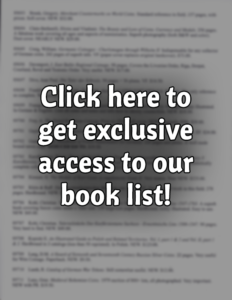 If you would like to download a viewable, printable electronic version of our lists, you will need to download the free Adobe Acrobat Reader software. Our price lists contain coins ranging in value from ten dollars to several thousand dollars. Some of the things offered in our pricelists are: Eastern European coins, including Poland, Russia, Hungary and Baltic States; Germanic coinage, including medieval to modern German states and colonies; Austria and the Holy Roman Empire; General European, including (but not limited to) Italy, France, etc. ; Meissen Porcelain coins and medals; German Medals, including Karl Goetz medals and coins, WWI and Nazi Era, Coronation medals ; Historical European Medals, including Napoleon and his time ; Reformation coins & Medals; British Commonwealth, including Great Britain, Canada, Australia ; Asia, including China and Japan (19th and 20th Centuries only) ; Latin America coinage; and United States coinage. The Lists are comprised of three sections. This is where we will link up past lists. Please understand that past lists are not active and that price/selection has changed. They are simply for reference only. Please use a current list to order coins.